A Precis for Politicians of the Masonic Secrets in the Streets of Washington, D.C. | Federal Lodge No. 1, F.A.A.M. 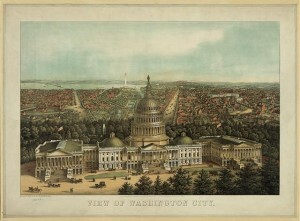 of Washington D.C.
Home » Federal Blog » A Precis for Politicians of the Masonic Secrets in the Streets of Washington, D.C. So one approaches this mysterious topic with knowledge of the challenges inherent, to put it mildly. The challenge is not to limn the “secrets”, because there simply aren’t any, but to explain the persistence of this amazing and flamboyant trope, for it indeed must mean something, hold some cultural significance. On the simplest level it speaks perhaps of something good and promising. Namely, people generally intuit something deep or profound about Freemasonry, and that it is not a superficial matter. The human mind is then drawn to thinking that this profound teaching might be quite hidden. That is the nexus, how it all begins, the questions, the explorations, and some days also the answers and new understandings. 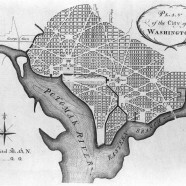 Discovering the real Masonic secrets of D.C., I would argue, means first beginning to know the men who live it, both the city and the tenets of the order. In the lodge halls and in the archives of lodges like Old Federal, seekers will find something perhaps unexpected, not secret plans and hidden byways, but men on open and well-lit paths shared by many others who want to learn what is true for them today, in life now. Brothers like Larry von Weigel, Worshipful Brother Paul Dolinsky, and other men of Ol’ Federal with a passion for the facts of DC Masonry, a passion for the facts found in our archival records as well as those written in our hearts. Of course Ol’ Federal is special, a famous old Lodge, with a storied history, not immune to local myth and lore. The very fact that one lodge has so much of great interest historically in its papers says a lot in itself. It means that Freemasonry has a huge history in the Capital of our country, and that a lot is practically hidden in the sense of being uninvestigated by actual real scholars. Not mystery- mavens, in other words. 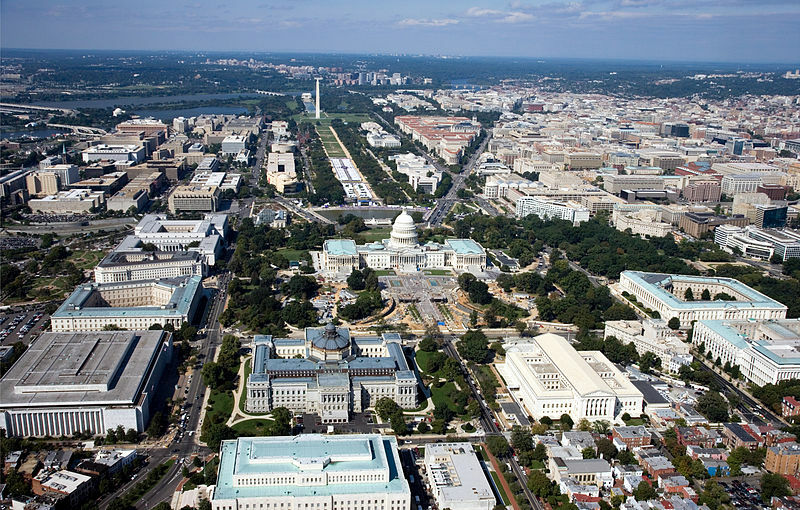 While it would be nice to think the richness of the city’s history would explain the fascination with “Masonic secrets of D.C.”, I am afraid nice explanations finish last. Almost nothing in the actual history of Masonry in D.C. would lead you to believe any of the supposed schemes and grids proffered in such books. The Ill. Bro. S. Brent Morris, whom I consider as the de facto Dean of Masonic scholarship on this side of the Atlantic, has been trying for years to debunk all these confabulations. As Journal Editor at the House of the Temple, he has even often appeared in a History Channel’s “documentary” on Masonry, mentioning it in relation to other matters, taking every opportunity to focus the audience on what the facts reveal. Lunches in downtown D.C. People of Washington are usually so full of themselves. D.C. lunches are the quintessential place for posturing, even more than dinners it seems. How wonderful to say that this is not the case for the Brothers of Federal Lodge. There was a refreshing lack of “putting on airs”. It made me reflect that in general one great Masonic trait is that Masons don’t like those who put on airs. We meet on the level. That is a lesson or “secret” that we could teach the uppity folks of the streets of D.C. That is ourreal secret. And it is a great one for this town, if they will take the secret.